Why Jewel Wrote about Maggie? Why Jewel Wrote about Reena? 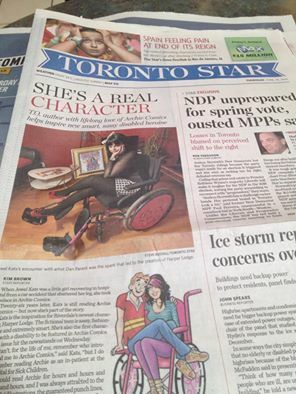 FRONT page COVER story of “The Toronto Star”!!!!! ← “The National”–Canada’s national TV news program–highlights my work with “Archie Comics”! My name is Sarah Didora and I’ve come across your incredible art while walking by Artarium and my bf and I just love it. I needed to let you know this lol. Jackie Ann Paulson on Say hello to “Bix”, star of my newest book!